So, I'm on a bit of a personal mission. I am searching for the perfect mashed potato recipe. 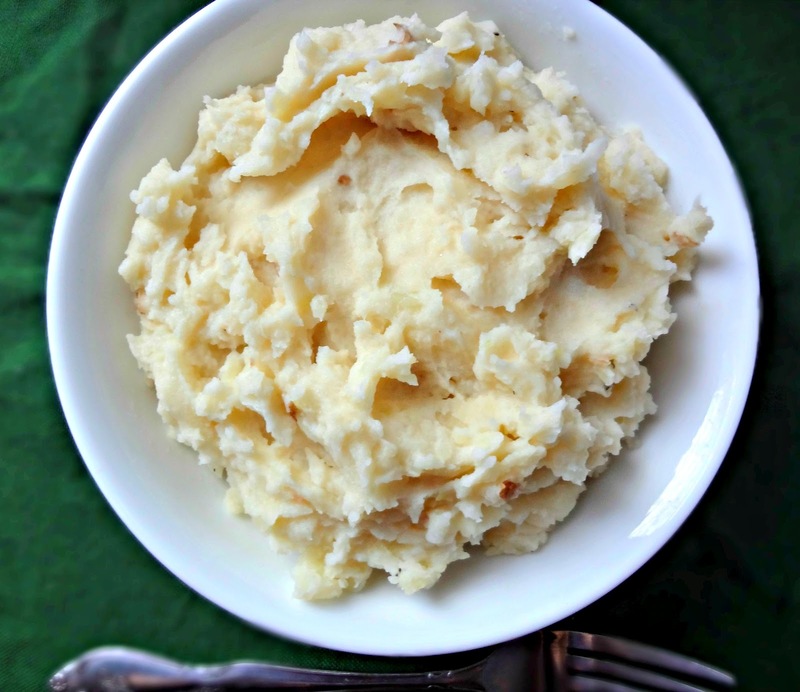 Along the way, I have found many recipes that I really love, but none are that quintessential, perfect mashed potato. Now...I'm sure part of the reason for this is I have yet to actually use cream + a lot of butter (because let's face it...that's probably it). I'm not complaining, though, because I thoroughly enjoy all of the different kinds of mashed potatoes I've made so far--although most of them have some aspect of garlic/cheese to them. 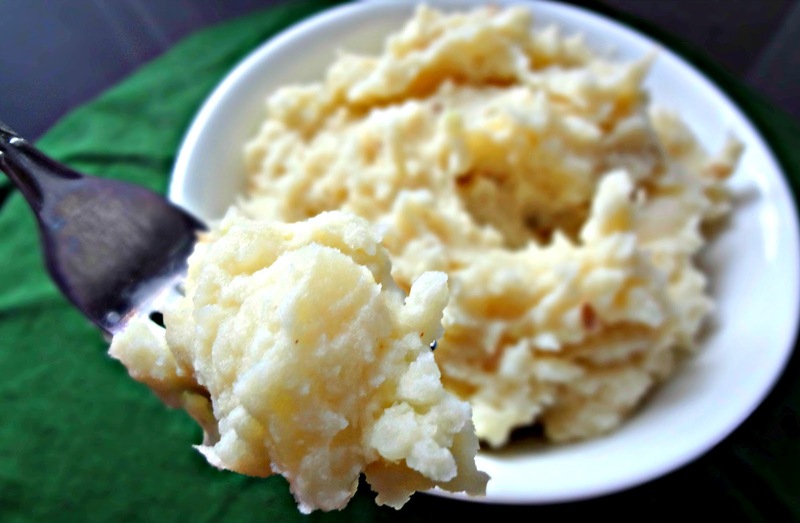 These potatoes are, so far, my favorite basic mashed potato recipe I've made. I mean...c'mon...they use browned butter, and we all know how awesome that is. And, because of the strong, buttery flavor that lends, you can use less butter than normal-which is good for our bellies/thighs/whateverproblemareayouhave. These are absolutely best if you use a combination of gold and russet potatoes-they just are. I know I should probably be sharing this recipe around like Thanksgiving time. But...I don't eat according to season. I eat what I like, regardless of the date on the calendar. I understand this is a strange idiosyncrasy of mine, and I completely understand if you wait until fall breaks to try these but...I wouldn't be able to wait if I were you :). 3 lbs. Gold and/or Russet potatoes (I prefer a mix of both), peeled and chopped into chunks. Add prepped potatoes to a large pot. Fill with cold water until it is just about 1 in. above the potatoes. Heat on high heat and bring to a boil, then cook 10-30 minutes (I know...crazy long time frame. The original recipe said 25-30, but mine were done after about 10-15), or until fork tender. When potatoes have about 5 minutes left, heat butter in a small saucepan over medium heat. 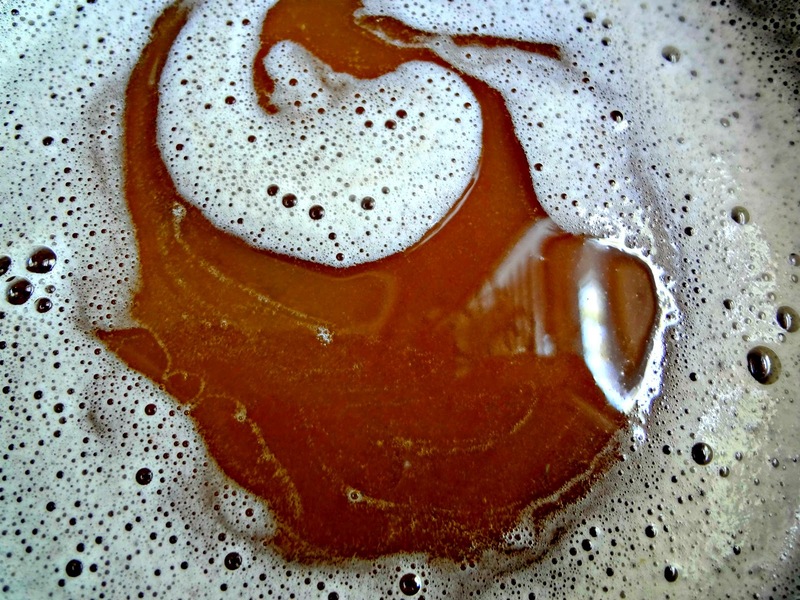 Whisk constantly until it turns foamy and then browns (with wonderful little brown specks swirling in there), then remove from heat. When potatoes are done, drain and then return them back to the pot, on low heat. Break up chunks with a potato masher. Add brown butter, milk, salt, and pepper. Mash more and/or use a hand mixer to whip potatoes until creamy. That is a comforting forkful right there. I don't care if it is summer, to me-there is no wrong time for mashed potatoes!